(Bloomberg Businessweek) -- Smith & Wesson still feels the wound it suffered two decades ago when it decided to invent smart guns. The idea was to invest heavily in the development of personalized weapons that could be fired only by a single person: the gun’s owner. This was considered a nearly science-fictional proposition in the late 1990s, years before the world was filled with smartphones and finger sensors. But consumer backlash against the project drove the gunmaker to the verge of ruin, and Smith & Wesson recently told shareholders that the corporate bleeding touched off by this long-ago episode has never fully stopped. “Sales still suffer from this misstep,” the company said in a February filing with the U.S. Securities and Exchange Commission. The ordeal also didn’t lead to technical breakthroughs, and Smith & Wesson never brought a smart gun to market. Nor has Sturm, Ruger & Co., Remington, Colt, Winchester, Mossberg, or Glock. It’s not clear that any other major gunmaker has seriously tried. No one involved can quite agree on who’s to blame for the standstill. Gun manufacturers fault difficult-to-navigate technology. Investors and entrepreneurs are sure that restrictive legislation has created a dead end. Politicians blame each other. Nobody blames the free market. Nearly half of gun owners in the U.S. would consider buying a smart gun, according to a Johns Hopkins University study. (Michael R. Bloomberg, founder of Bloomberg News parent Bloomberg LP, is a donor to groups that support gun control.) The promise of guns that can be used only by one person is that there will be fewer fired by accident or by someone who shouldn’t have access to a gun, and fewer sold on the black market. This is the story of why the multibillion-dollar American gun industry hasn’t yet managed to make guns any smarter. 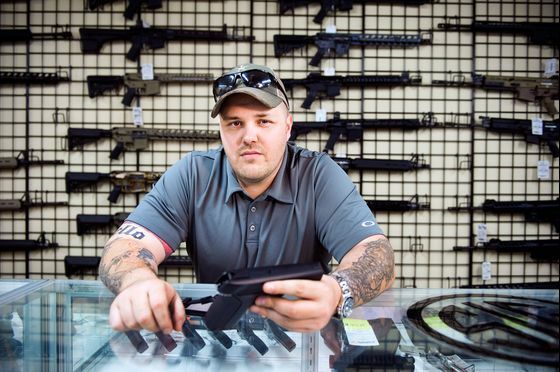 Trae Stephens isn’t afraid to put real money into a product most gunmakers are too anxious to touch. His venture capital firm, the Peter Thiel-backed Founders Fund, is noteworthy among its Silicon Valley peers for investing in defense and security. But two years spent looking at nearly a dozen different smart-gun startups aiming to raise seed or Series A rounds, valued in the six- to seven-figure range, haven’t turned up anything worth backing. It’s not easy finding a VC willing to speak openly about guns, let alone invest in them. There have been frequent calls for the technology industry to take on firearms, the type of stagnant industry that seems ripe for Silicon Valley disruption. President Barack Obama sounded the call for the Apples and Googles of the world to get into guns. “If we can set it up so you can’t unlock your phone unless you’ve got the right fingerprint,” he asked in 2016, “why can’t we do the same thing for our guns?” But funneling engineering resources into next-generation guns has proved anathema in the liberal Bay Area, even if the intention is to improve public safety. Stephens is a contrarian, right-leaning techie in the same mold as Thiel. He started out in D.C. working for then-Representative Rob Portman—now a Republican senator with an “A” rating from the National Rifle Association—and later served on President Donald Trump’s presidential transition team. He worked as an engineer at Palantir, the controversial data-mining company that has contracts with the U.S. military, and co-founded a defense-tech startup, Anduril, that develops digital surveillance tools for border security. But Stephens and his colleagues have found glaring technical challenges. Prototypes generally feature biometrics or proximity-sensing radio-frequency identification (RFID) chips to authenticate users and unlock firearms. The trouble is that fingerprint readers struggle with sweat or dirt, and friends in law enforcement advised Stephens that cops often wear gloves. A sensor error in a self-defense situation could prove fatal. The technology needed to marry guns and digital safety features seemed closer at hand back in 1996. The federal researchers at Sandia National Laboratories issued a report that year declaring smart guns feasible—all it would take was large R&D investments and possibly two generations of product development. Four years later, in an alliance with a Democratic White House that seems impossible today, Smith & Wesson made a deal with President Bill Clinton to set aside 2 percent of its revenue for smart-gun research. The pact was trumpeted by the president and the company. Smith & Wesson put teams to work on the development of technical components, a project some referred to internally as “E-Fire.” The mechanical engineering that goes into the nuts-and-bolts machinery of a gun proved poor preparation for mastering the electronic fields required to bring smart features to life. The company explored using various unlocking mechanisms, including biometrics such as skin sensors and voice recognition, according to patents. For an early prototype, according to an engineer involved with the project who asked not to be named discussing a former employer, a fingerprint sensor was jury-rigged onto a Palm Pilot PDA to test how the weapon would unlock. In some tests the scanner failed roughly 1 out of every 100 times, this engineer recalled, a calamitous rate for a product pitched as the ultimate in personal security. Today, no mainstream gunmaker sees consumer demand for a smart gun, according to the National Shooting Sports Foundation, a gun industry lobby. The conglomerate that now owns Smith & Wesson, American Outdoor Brands Corp., revealed in a letter sent to BlackRock Inc. that it doesn’t invest in smart guns. Sturm Ruger Chief Executive Officer Christopher John Killoy said at an annual meeting last year that “just because you can get your fingerprint recognition on an iPhone” doesn’t mean it will work on a gun. Remington appears never to have even tried. There’s one small gunmaker, Tracking Point, that remains hard at work on products that add digital technology to firearms. But rather than restricting who can fire the weapon, the company is focused on using technology to improve accuracy. A decade-plus of disinterest from the gun industry has been aided by a well-meaning liberal lawmaker. 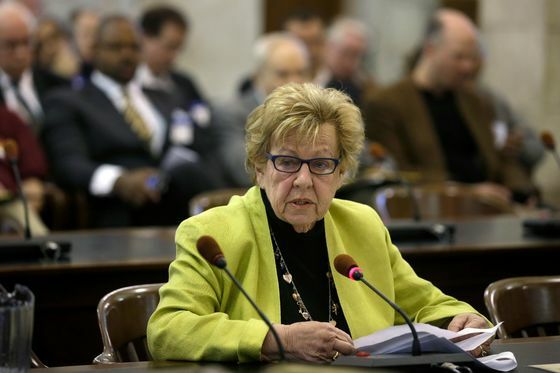 Loretta Weinberg sponsored the New Jersey Childproof Handgun Law, which passed with bipartisan support in 2002. “Childproof” was a euphemism; the bill was part of a state initiative that funneled millions of taxpayer dollars into jump-starting research into smart guns. It also included a provision that enraged gun-rights activists, accidentally doing more to deter than encourage research. The bill stipulated that once smart guns went on sale anywhere in the U.S., New Jersey’s gun dealers would have three years to take all other weapons off their shelves. If anyone sold a smart gun, in other words, all guns sold in New Jersey would have to be smart. The New Jersey law did just that. Which made it the perfect tool for mobilizing bitter opposition to any attempt to sell smart guns, even hundreds of miles away from New Jersey. 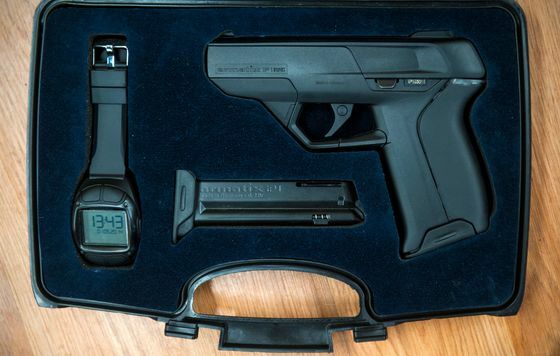 When a gun-store owner in Rockville, Md., named Andy Raymond decided to become one of America’s first smart-gun retailers in 2014, he had to import the merchandise from overseas. The burly, tattooed owner of Engage Armament found a German-made Armatix iP1 pistol that could only be fired when a watch with an embedded RFID chip was within 15 inches of the firearm. Protesters attacked his store on social media, making national headlines. Their fear was that the first retail sale of a smart gun could start New Jersey’s clock ticking toward the ban on sales of conventional guns enacted by the Childproof Handgun Law. Raymond reported death threats, and he posted a video online in which he sipped whiskey and explained that selling smart guns would draw “fence-sitters” to the pro-gun camp. He slammed the NRA’s hypocrisy on the issue. The NRA tested the Armatix iP1 and found it “disappointing at best, and alarming at worst,” in a scathing review distributed to members. Others have found issues with the same gun. Armatix at the time claimed the gun passed all tests by the U.S. Bureau of Alcohol, Tobacco, Firearms and Explosives. Poor reviews meant that, thanks to the New Jersey law, the NRA could argue that a firearm it deemed unreliable could be the only gun available to purchase in the future. The smart gun went from being viewed as politically toxic by gun-rights supporters to outright dangerous. New Jersey lawmakers also picked up where Smith & Wesson left off, funneling millions of dollars toward development of smart-gun technology. Researchers at the New Jersey Institute of Technology made progress with so-called dynamic grip recognition. The idea was to record each user’s unique squeeze pattern to unlock a weapon as its trigger was pulled. To developers, the approach held the prospect of avoiding the false negatives that bedevil fingerprint systems and RFID sensors. They believed grip recognition could also work reliably through gloves and for multiple users—a pair of police partners or parents, for example—while remaining useless in the hands of bad guys or kids. By the time New Jersey’s smart-gun research was ready to move out of the lab, however, manufacturers were too spooked to build them. “NJIT couldn’t find a manufacturer to build a prototype because they were all afraid,” recalls Weinberg, the smart-gun law’s sponsor. New Jersey lawmakers could modify the Childproof Handgun measure this year, in an effort to undo the freeze effect on smart guns. Gone from a new bill co-sponsored by Weinberg is the mandate that all guns sold in the state include smart technology; this new version requires firearms vendors in the state to stock at least one such weapon. Only, of course, once there’s a commercially viable smart gun. Perhaps the most Silicon Valley way to grapple with a national tragedy is to offer seed funding to anyone with a promising startup that has a vision of how to fix things. That’s what a group of investors led by Ron Conway did in 2013 after the Sandy Hook school shooting. 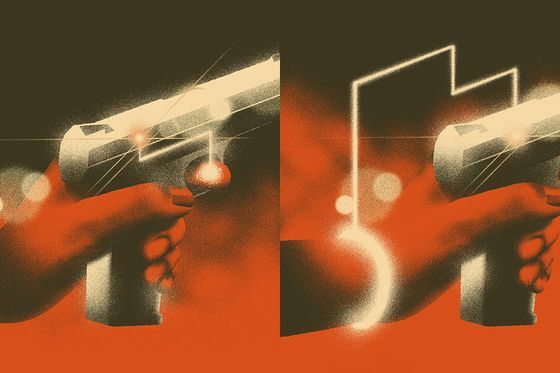 The Smart Tech Challenges Foundation amassed a $1 million grant to back startups working on ways to reduce gun violence, and some of the smart-gun entrepreneurs who came forward with pitches walked away with tens of thousands of dollars in funding. But a number of those picked say they’ve struggled to raise additional funding in the years since. 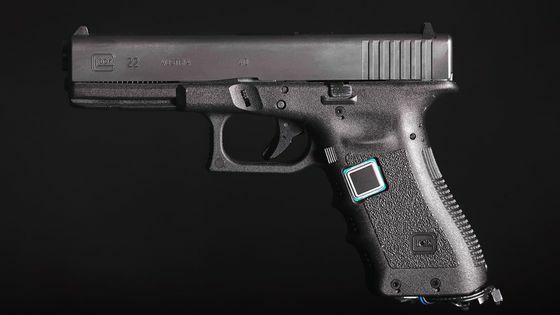 Kai Kloepfer, a Massachusetts Institute of Technology dropout, used his grant from the foundation to develop Biofire, which incorporates a fingerprint sensor into a handgun. So far he’s built a proof-of-concept device from off-the-shelf components. His next goal is to build a prototype from scratch. He’s recently embarked on a roadshow to raise a seed round, but acknowledges it’s been difficult to get interest from Silicon Valley investors. “Unless you happen to be an [artificial intelligence] machine learning startup working on cryptocurrency applications, fundraising is always hard,” Kloepfer jokes. Stephens from Founders Fund and Conway have had discussions over the years about the future of smart guns. Stephens is doubtful the tech world will ever throw its weight into “investing in companies that are literally selling firearms.” He also believes that any Silicon Valley effort must aim to create a safer and better product than traditional firearms, rather than look at smart tech as a sideways approach to gun control. Otherwise any gun startup would end up alienating the customers they need to win over. But Conway, who says his interest in smart guns “has nothing to do with infringing on the Second Amendment,” has grown bullish on the future, particularly Kloepfer’s company, in which he has personally invested a few hundred thousand dollars. “We’ll get mainstream VCs,” Conway says. Stephens, who declines to comment on specific companies he’s reviewed, says his firm isn’t likely to invest in a smart-gun startup until at least one of the glaring challenges he discovered in his research—regulatory friction, industry resistance, technological problems—is overcome.